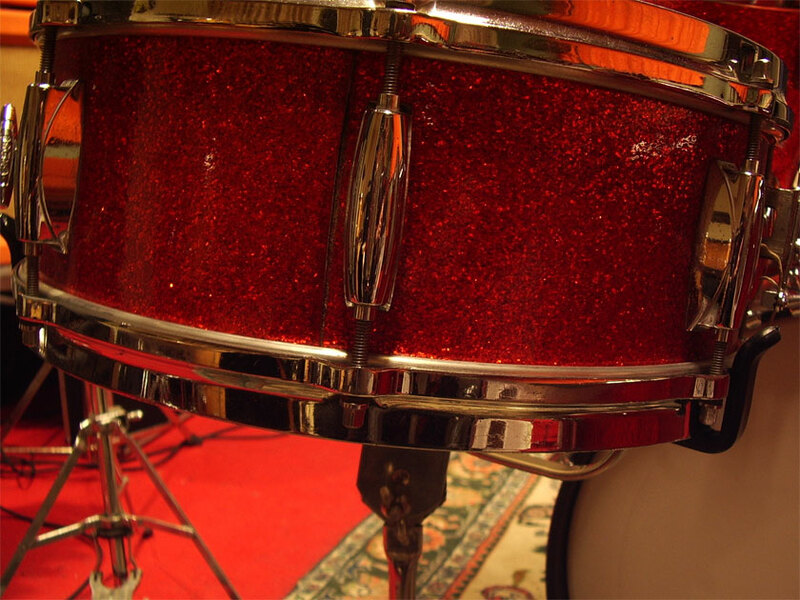 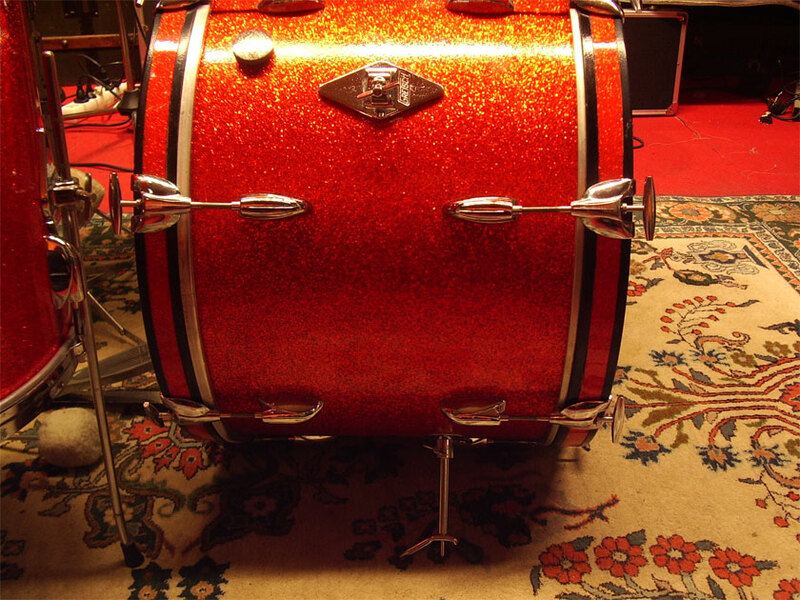 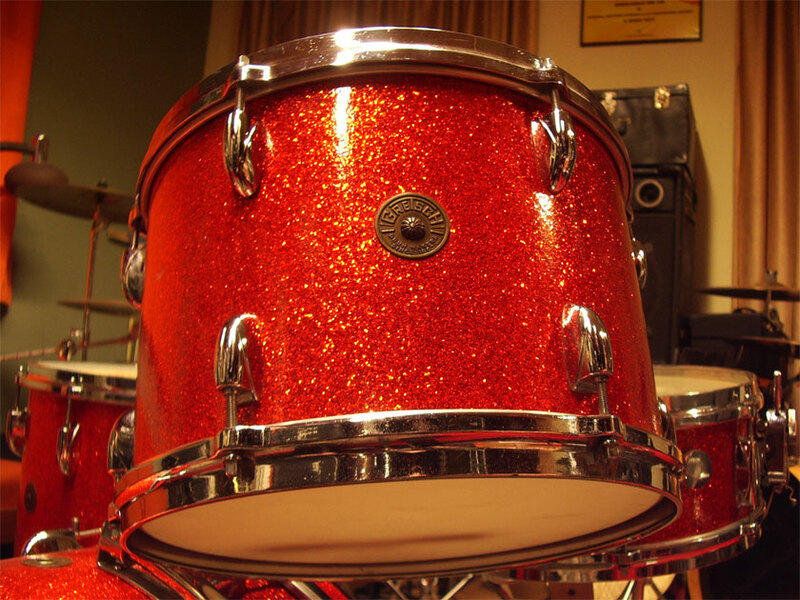 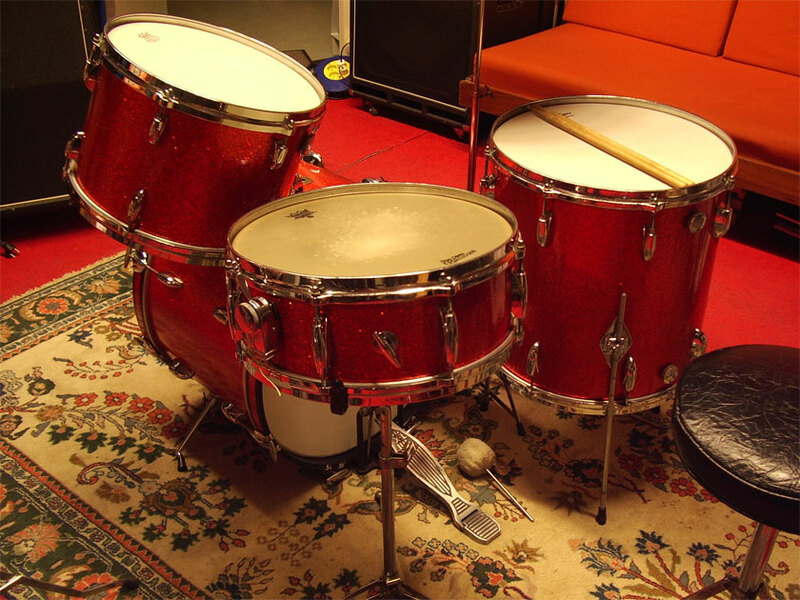 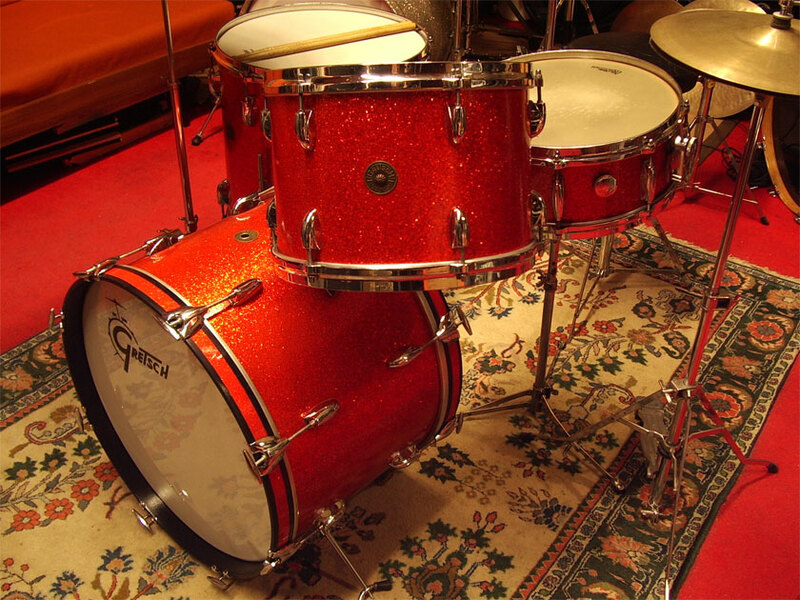 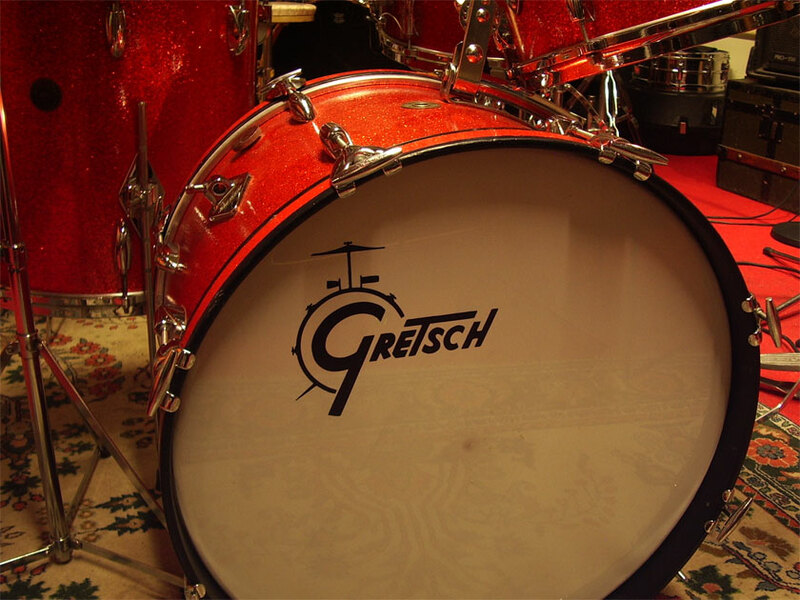 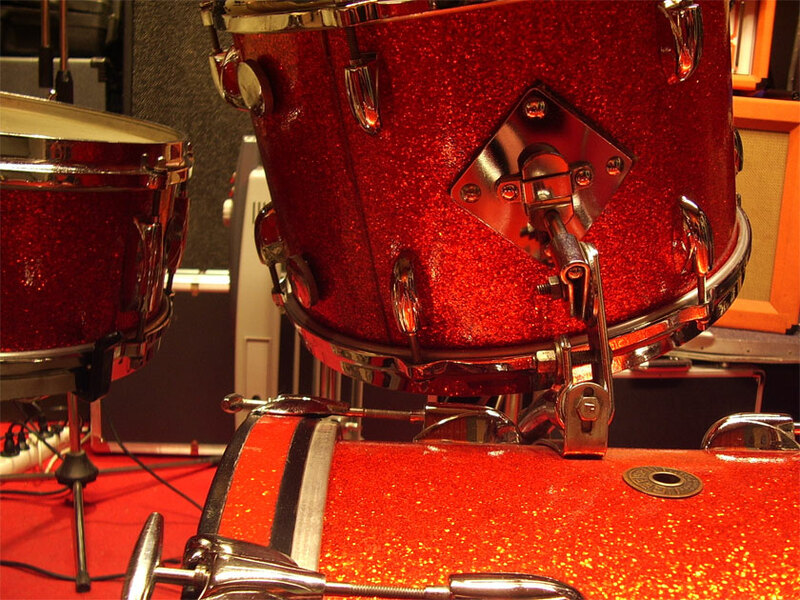 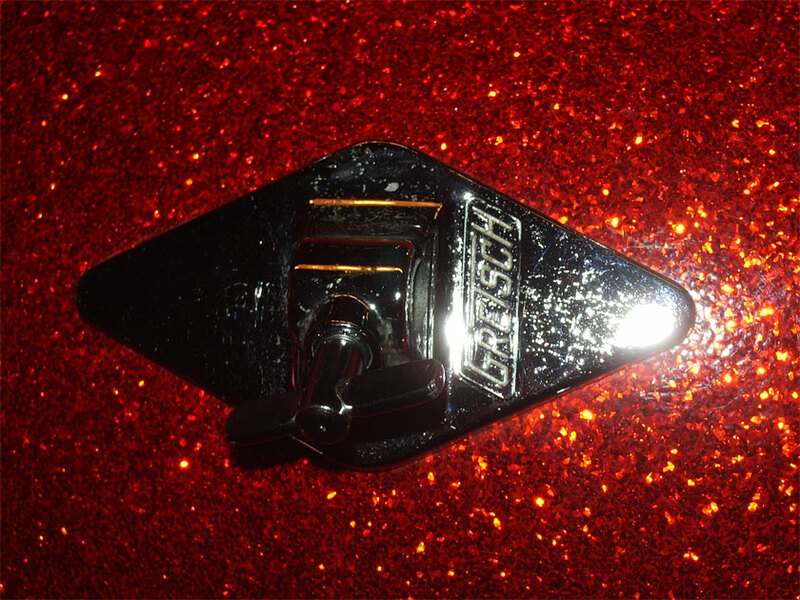 Original 1960s Gretsch drumset in the fine color Tangerine Sparkle. 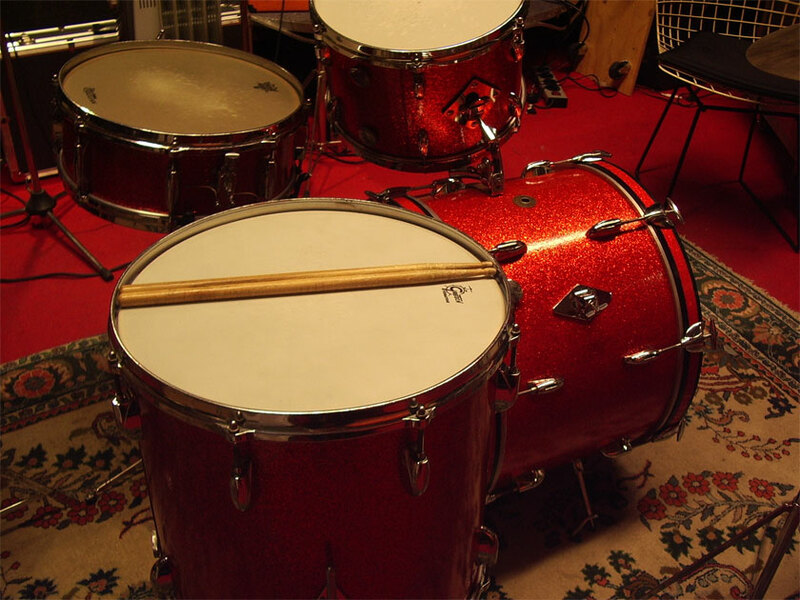 All parts are original and no extra holes. 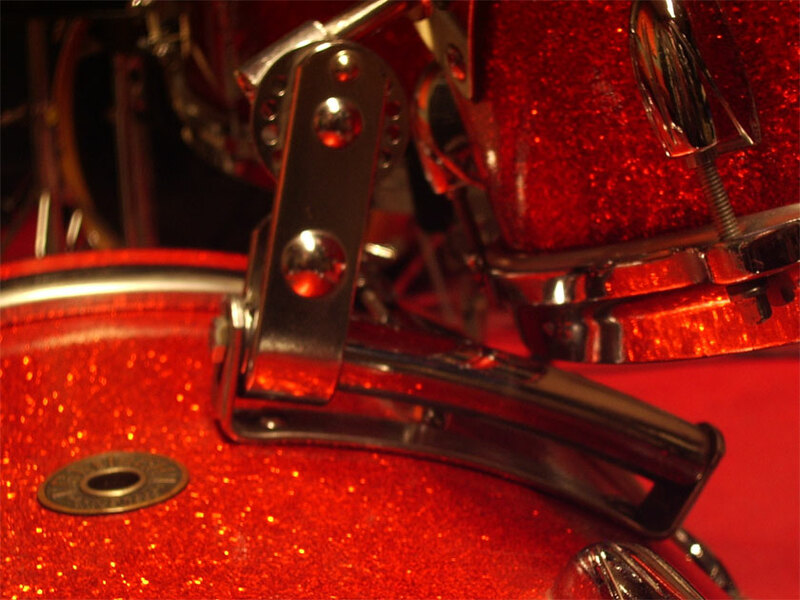 Color hardly any fade. 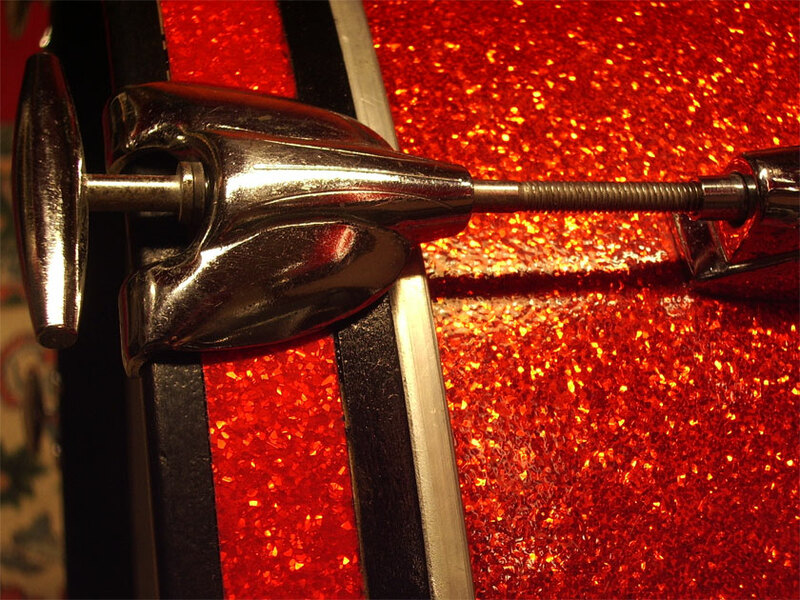 Chrome has very little pitting. 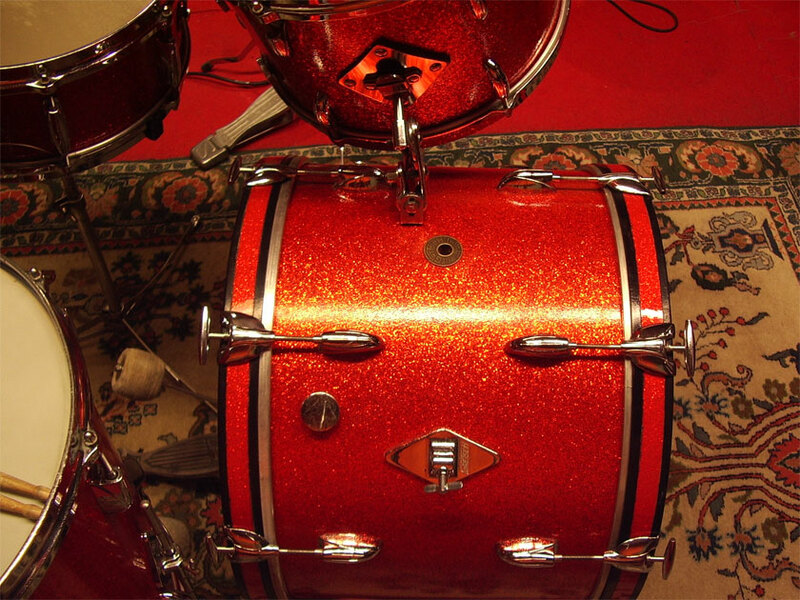 Bassdrum hoops have new inlays and are repainted. 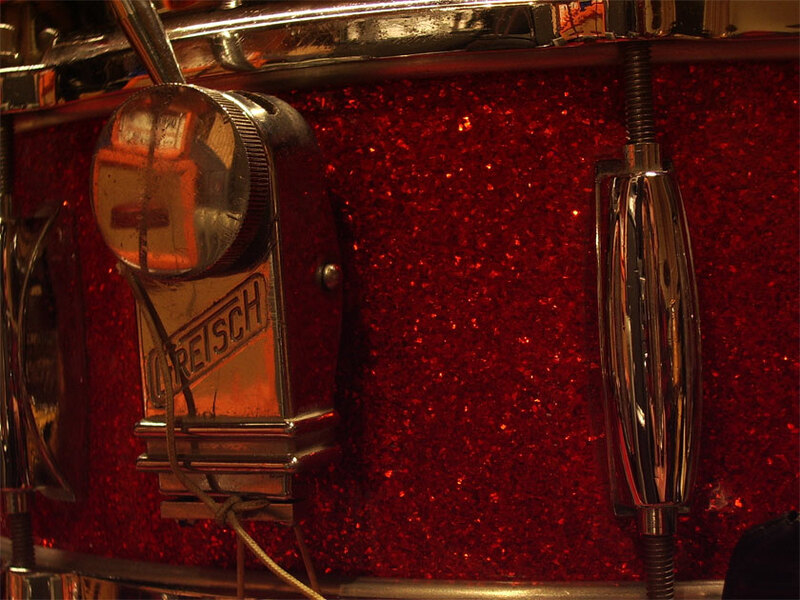 The wrap is reglued on the seams. 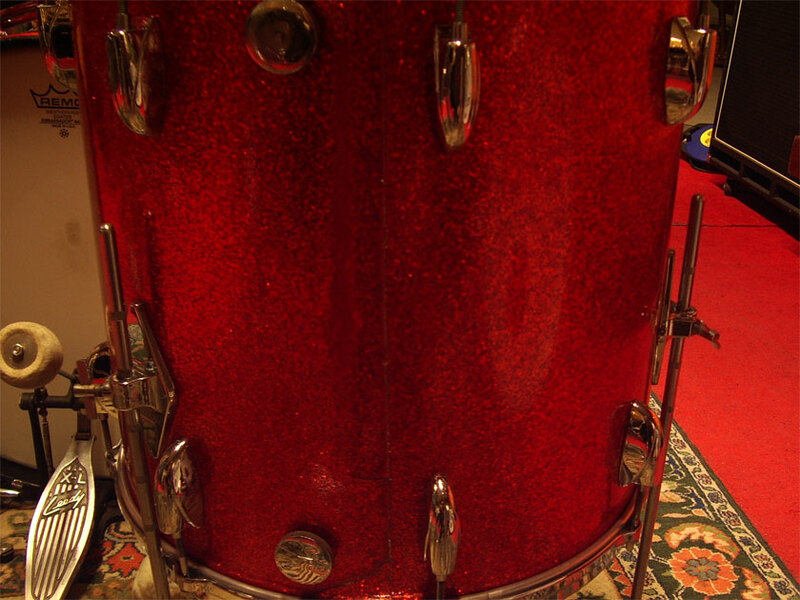 Floortom has a 1 inch crack in the wrap at the seam but this is also glued back (see picture). 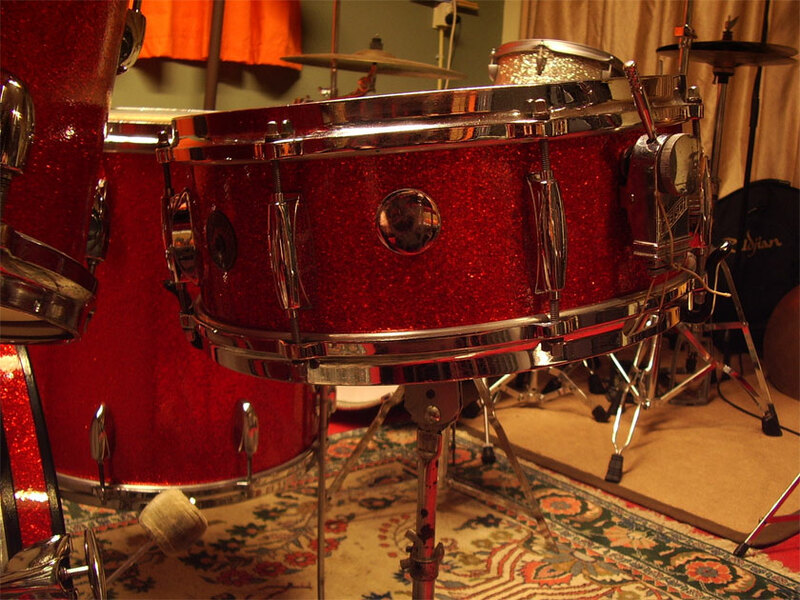 The 5 x 14 snaredrum model 4157 sounds beautiful and has lots of power, very musically under all dynamics. 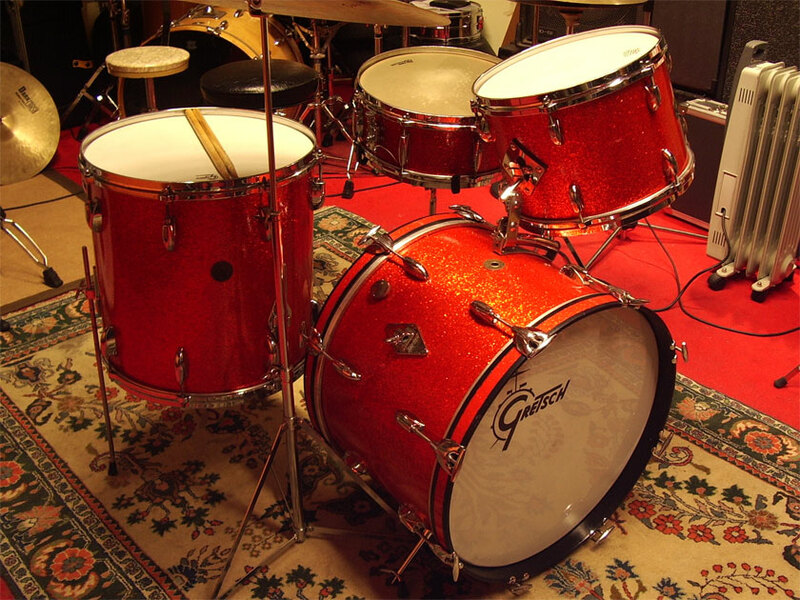 This set is ready to play and sounds great.